Did you know that families who have a child undergoing a pediatric heart transplant are frequently left financially devastated? Costs can run into the millions of dollars. In addition to this, it is not uncommon for one parent to need to stop working completely in order to care for their child. 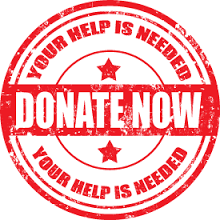 Your generous donation, in any amount, goes to support the mission of Ireland’s Hope and allows us to help families during this most difficult time with their day-to-day non-medical living expenses. Ireland’s Hope is a 501(c)(3) non-profit foundation. Your donation is 100% tax deductible.